The aim of the strategy Municipalities, Cities and Communities is to strengthen the role of the municipality as a strategic actor to improve health outcomes and quality of life of its population, in partnership with the community and inter sector. They do this through three-year strategic planning. The process began in 2013 with assessments to the existing program and continued in 2014 with its redesign. In 2015 the implementation of the strategy began in its phases of organization and strategic planning in 331 municipalities in Chile, achieving national inter-sectoral agreements and political commitments with Chilean Mayors. The Ministry of Health in partnership with the Chilean Association of Municipalities promotes the strategy. It is an example of inter-sectoral coordination and multi -level work establishing interactive and productive dialogue between local, community, and national actors. Political commitment. While it does not have a political commitment expressed in a decree or a law, the sustainability of the programs for Health Promotion within the Ministry of Health, reveal that the strategy is embedded in it. This is reiterated in the vision of the Ministry and the strategic guidelines of the sector that point to the need to evaluate and redesign with a focus on equity the existing public policies, aimed at increasing public services in health, formulating policies to promote healthy life styles and increased access and availability of safe and healthy foods. Separate Structure. The strategy is managed by the Health-Promotion Program of the Ministry of Health. It has its own structure through the Intersectoral Committee created in each district and the Inter-ministerial Committee at the national level. Participation of other Sectors. The Ministry of Health is at its leadership. Mayors and municipalities promote the development of comprehensive health diagnoses and implement the triennial Strategic Planning of Health Promotion. Also involved are the Ministry of Social Development, with the program "Live your garden" and "Choose Healthy Living in Community"; The Ministry of Education, incorporating health issues guidelines for the thematic subjects per cycle and coordinating with organizations such as the National Board of Student Aid and Scholarships (JUNAEB), the National Board of Kindergartens (JUNJI) and Agency for Quality Education; The Ministry of Environment building healthy environments and sharing healthy food supply (school and community gardens); The Ministry of Sports through comprehensive Sports Schools and through the Sport and Social Participation program. In addition there are technical partnerships in building healthy environments with the Ministries of Housing and Urban Development and the Ministry of Transport and Telecommunications. Separate Budget. It has its own budget from the health sector at the national level, which may be increased at the local level by contributions from other sectors , from the municipality and the private sector. The Health Promotion Program of the Ministry of Health has continued funding since 1998 until now . Focus on reducing inequity. The Municipalities, Cities and Communities strategy understands that living conditions and health are related to the territories where one is born and lives . It aims to identify the causes of health problems in the territories, and install a three-year strategic plan for each of them, with local ownership. Intersectoral action. The foundation of the strategy is cross-sectoral and inter-level. At the local level each community makes up an intersectoral committee according to local needs. Nationally, an interministerial committee was established to allow citizens to have spaces for dialogue and regional forums of public health. Public Policy. The strategy has managed to intervene in public policies that impact health. Currently, the Ministry of Health promotes citizen dialogue to enrich the new sports policy. Moreover, it has managed to increase awareness in various sectors such as housing, transportation, municipalities, among others for the development of bicycle paths and infrastructure for physical activity in public spaces. Evidence of results. Scientific evidence has been used to evaluate and redesign the strategy born in 1998. As the new strategy started to be implemented in 2015, assessments of its impact are not yet available. However, it is anticipated that at the community level, the effects of the plan will be evaluated, as well as the effective use of resources, training, incentives, and the achievement of set objectives and goals. Currently, a system of formal intersectoral assessment is being built within the framework of Health in All Policies. Social, civic and community participation is a transverse axis to the strategy of Healthy Municipalities, Cities and Communities, since through it many problems can be properly identified and understood. One of the mechanisms of participation are citizen dialogues, which serve at the community level to discuss local ordinances and policies. Participatory assessments have also been implemented as part of the comprehensive diagnostic of quality of life in communities through out the country in 2015. In the same year 15 regional leadership schools were visited, where social leaders were trained on the Social Determinants of Health, Health in All Policies and the strategy of Healthy Municipalities, Cities and Communities. 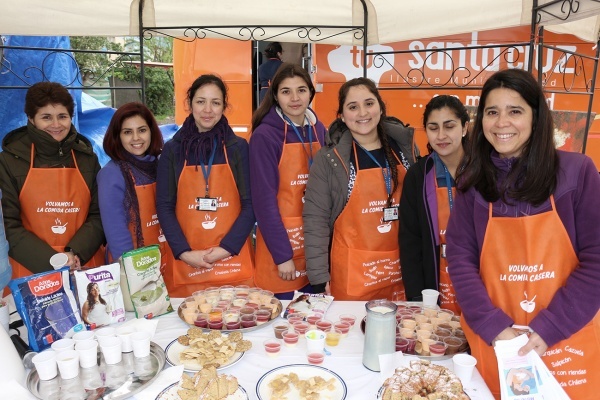 In 2013 the Chilean Ministry of Health studied the experiences developed since 1998 with the Communal Plans for Health Promotion. The careful review of the evidence gave rise to the Healthy Municipalities, Cities, and Communities strategy. New focus was put on the municipalities that are leading on the territorial participatory assessments, with strategic plans for the next three years and that are strengthening the ability of its people to understand and act on their context. This allows finding solutions to territorial problems using local resources and capabilities, strengthening intersectorial action and at the national level. The local - community - national dialogue is one of the strengths of the strategy, because the policies, actions, and decisions are not going in different directions, but are in constant dialogue with each other. Establish the needs and priorities for HiAP. Establish the framework for an effective action plan. Ministry of Health and the Chilean Association of Municipalities.